Current Porsche boss has been announced as the successor to Martin Winterkorn, with major changes to the company’s board of management. Porsche boss Matthias Müller has been announced as the new CEO of the VW Group, replacing Martin Winterkorn, who resigned from the top position at the scandal-hit firm on Wednesday. Müller, who had emerged as the frontrunner for the top job at VW earlier this week, is said to have signed a contract that lasts through to 2020. Several other major changes were also announced, as the VW Group heavily revised its management structure to focus on more responsibility and governance at regional level. “Mr Müller is happy to take this on at difficult times for the company. Müller knows the VW Group and will immediately set upon his new tasks with his whole strength. We particularly appreciate his critical view of things,” said Berthold Huber, deputy chairman of the supervisory board for the VW Group. “The emissions test stories are a moral and political disaster for VW. Illegal behaviour of development engineers in development of engines has shocked the public. I would like to apologise in every form in front of the public, the authorities and our investors,” he added. The supervisory board also approved a new management structure for the group and the brands as well as for the North America region. Winfried Vahland, formerly chairman of the board of directors at Skoda, has now taken over as boss of a reorganised North American region, which now includes USA, Mexico and Canada combined. 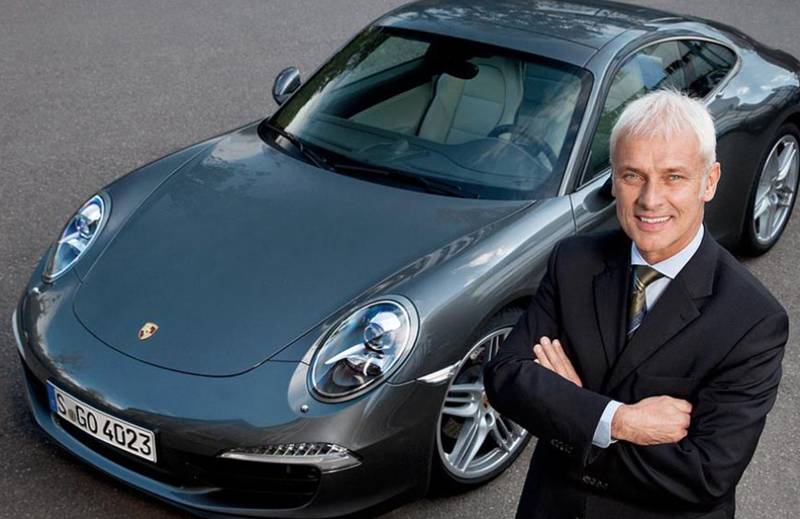 His successor at Skoda will be Bernhard Maier, who was until now sales and marketing of Porsche. Significantly, Michael Horn, the under-fire president and CEO of Volkswagen Group USA, has retained his job despite earlier rumours that he would be axed. It is understood that US dealer groups lobbied for him to stay in his role. Jürgen Stackmann has been shifted from his job as chairman of Seat to take over Christian Klingler’s role as sales and marketing boss at Volkswagen. Klingler is leaving the company with immediate effect, with the reason for his departure given as “part of long-term planned structural changes and as a result of differences with regard to business strategy”. But Volkswagen stressed that his departure from the company was “not related to recent events”. Matthias Müller will lead the sales department at group level in the interim. The new Seat chairman is Luca de Meo, currently sales and marketing chief at Audi. The board has decided to abolish the production department at Volkswagen Group management level, giving more responsibility to the individual car brands and also to geographic regions. The group is also going to “scale back [its] complexity”, said Huber. Existing corporate bodies, structures and processes will be streamlined at group level, in particular by strengthening the brands and regional accountability. To that end the Volkswagen brand will introduce a management structure with four regions, each led by a local CEO with a direct reporting line to the brand chairman, Herbert Diess. VW’s group reorganisation includes the creation of a Porsche brand group, including both the Bugatti and Bentley marques, which will utilise use of what bosses term “the sports car and mid-engined toolkit. No director has yet been announced as head of the new division, but insiders believe Wolfgang Dürheimer, who had a long career at Porsche and currently leads both Bentley and Bugatti, is the strongest contender. This Audi brand group, incorporating Lamborghini and Ducati, will continue, but the whole “toolkit” strategy will come under closer guidance from the group CEO. The volume brands — Volkswagen, Seat and Skoda — which utilise the “transverse toolkit” will each be represented by separate members on the board of management. ← Should Apple discontinue the 16GB iPhone?